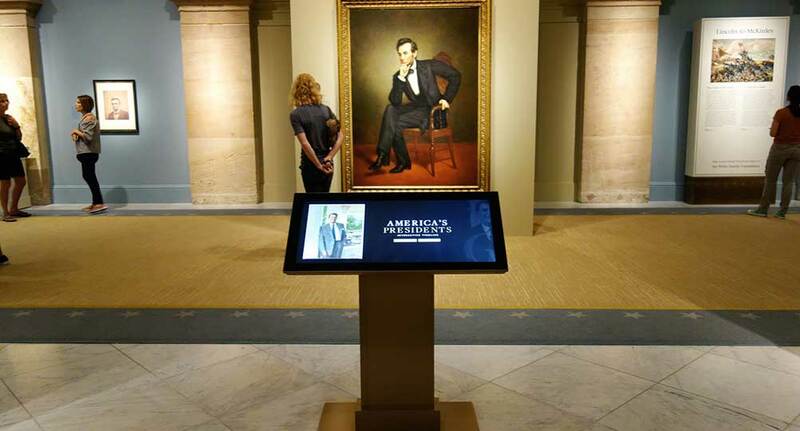 On August 23, Ideum founder Jim Spadaccini and Exhibit Designer Alexander Cooper from the Smithsonian National Portrait Gallery in Washington, D.C. will lead a tour of interactive exhibits in the America's Presidents exhibition. The tour is part of a two-day event hosted by SEGD, the Society for Experiential Graphic Design. The bi-annual SEGD Exhibition and Experience Design Meeting gathers exhibit and design professionals from around the globe to network and share the most effective and innovative means of creating compelling experiences of all kinds. The tour will focus on a suite of interactive kiosks Ideum created in collaboration with Portrait Gallery staff. These exhibits not only give visitors a closer view of the Gallery's historical presidential portraits than ever before, they also open the archives to users, letting them rotate and zoom in on hundreds of photographs, drawings, sculptures, and other artifacts not on public display. Visitors navigate through the collection using a unique 3D timeline that puts each element of this incredible collection just a touch away. The kiosks were designed with custom stands in a brass finish to complement the Gallery's elegant architecture. The event comes in the wake of Ideum's recent SEGD Interactive Experience Design Award for the Exploring Pueblo Pottery project. 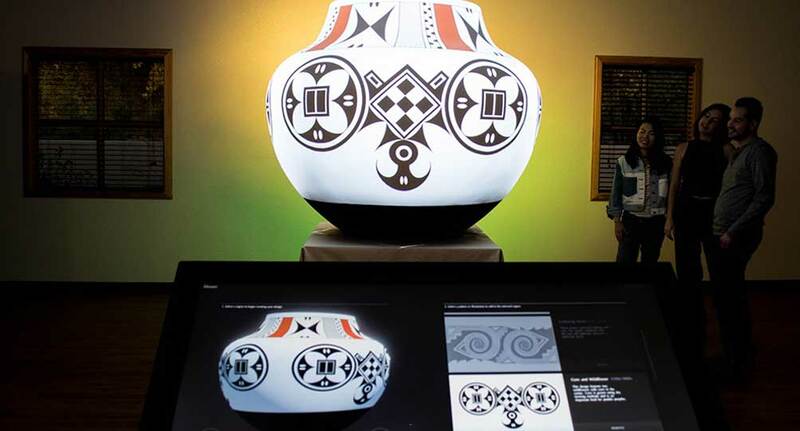 The project utilized state-of-the-art technology to allow visitors to explore Acoma designs as they are projected onto the surface of a huge water pot and learn about how those motifs illuminate Native American life and culture. This is the second year in a row that Ideum has won an SEGD Design Award in the competitive interactive experience category. 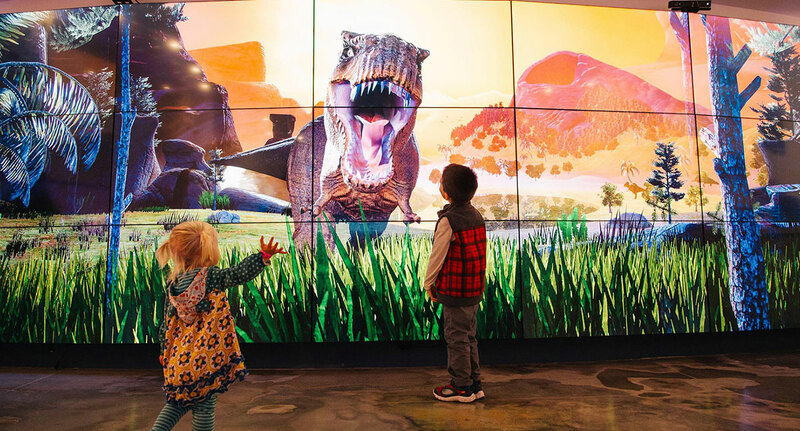 In 2017, the Dinostomp experience we built with the Fort Worth Museum of Science and History was also selected to receive an award. Ideum and Spadaccini have been honored to be associated with SEGD, and we look forward to sharing new ideas and possibilities at the Convention. The tour takes place on August 23 from 2:00-4:00 pm. Learn more at the SEGD registration page.